Microsoft’s @Satya Nadella has made it clear Microsoft is transforming itself into a cloud, Machine Learning, and AI company. This change was on full display at Microsoft’s annual recent //build/ 2018 event, held for developers and technology leaders. The 3 days were packed with sessions on Microsoft’s cloud offering, Azure, and the services it offers. 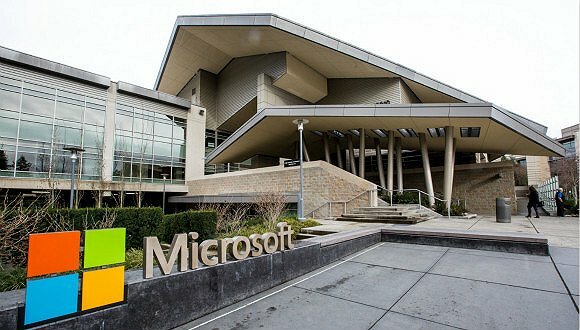 Although there were sessions for Windows and web developers, most keynote announcements and follow-on sessions were focused on topics such as AI, Machine Learning, and Augmented Reality. One impressive keynote demonstration was a drone that could recognize stress points in pipes, a terrific value-add for the oil and gas industry. Microsoft has published nearly all sessions from //build/ online so you can watch them for free. There is no doubt that Machine Learning is now a fundamental part of any scaled data project or infrastructure. Microsoft has several Machine Learning solutions and they were all on hand at //build/ with sessions dedicated to this topic, both introductory and deep dives. It’s clear that if you haven’t picked up at least the basics of Machine Learning, the time is now. Here are some highlighted sessions from //build/ on Machine Learning. AI has come a long way. And the tools to work with building AI into your applications are much simpler than you might think. Further, AI has applicability in places that may surprise you. One example was given from the legal field. An application was written to search case law via voice search and to find cases related to the request. The AI determined context and found very relevant results which would never have come back from the standard search technologies like those we build around Lucene, contextual and such. Here are some highlighted sessions from //build/ on AI. It sometimes seems Microsoft Azure is receiving new services and updates to existing ones every day. It is true innovation is happening in the cloud at a pace superman can keep up with. As someone new to Azure myself, I attended several Azure sessions and was very impressed with the wealth of services and capabilities in the platform. I’m currently building several applications using Azure PaaS and in all but the rarest cases I am finding it simple to take advantage of Azure’s services. The trick is understanding what services exist and which to choose for your given use case. That’s why keeping up with the PaaS services is so important. While it may feel like there is capability overlap in some of the services, each has its niche and you don’t want to find midway through a project you’ve committed to the wrong technology. Here are some highlighted sessions from //build/ on Azure. Not everyone knows Microsoft has a Blockchain service, but it’s there and it’s robust, and getting more so every day. Microsoft’s entry into Blockchain is the Azure Blockchain Workbench. There were //build/ sessions on Blockchain, but being in its relative infancy it wasn’t a primary focus of the conference. What was interesting is that every Blockchain session was standing room only and many people were turned away from the sessions due to capacity even in large rooms. Here are some highlighted sessions from //build/ on Blockchain. At Build 2018: Azure Blockchain – A quick interview with Brenda Lee by Scott Hanselman. And here is a good introduction to Blockchain from Channel 9. There is even a Microsoft Blockchain blog. I focused on some of the highlights of //build/ 2018 here, but so much more is available. I encourage you to check out the session catalog and watch some sessions to get up to speed on the technologies that are going to make your applications sing.